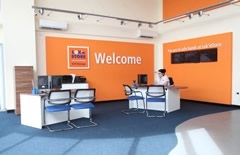 Lok'nStore has self storage centres in other locations, the closest being Broadstairs or Dover. From junction 10 of the M20, take the A2070 / A292 exit to Ashford / Brenzett. Stay on this road until you get to the next roundabout and then take the fourth exit onto Bad Munstereifel Rd / A2070. You'll see Lok’nStore in the distance on your right hand side – it’s the giant orange building. Head straight across the next roundabout onto Malcolm Sergeant Road and you're nearly at Lok’nStore and probably ready for a cup of tea or coffee made for you by our friendly staff. Lok’nStore’s facility in Wotton Road, Ashford, is spread across two floors with over 500 storage units of all shapes and sizes available to rent – from small lockers to giant 500sqft units. It has ample free parking spaces and large loading bays for customers to use, plus free trolleys for the loading of personal belongings, business stock or goods. What does storage at Lok'nstore Ashford cost? 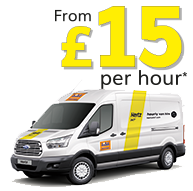 Our prices for storage at Lok’nStore are the lowest in Ashford and the surrounding area – we know because we check regularly, and then set our prices lower than anyone else. Self storage prices in Ashford can vary, depending on the size of the self storage unit that you need; how long you want or need to stay, and your method of payment. For an idea of our storage prices please call Lok’nStore Ashford to speak to our expert staff. 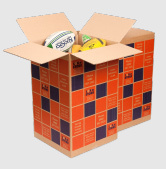 You can also get an instant quote for storage with us by clicking the green 'Get a price' button on this page. All prices at Lok’nStore do include VAT.